This 5-star reversible waterproof extra-long sofa protector goes to great lengths when it comes to versatility. 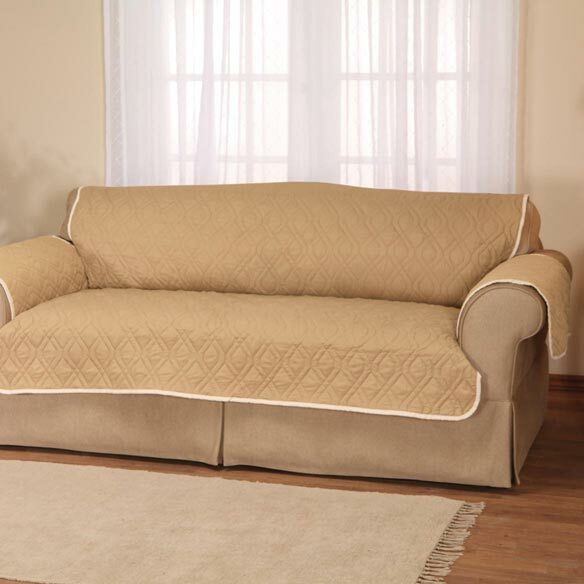 Change the look of your living room in minutes with this sofa protector in 2 reversible colors — and this one is extra-long to fit generously sized couches! Decorative diamond stitching provides all-season style and comfort combined with waterproof protection from spills and stains. 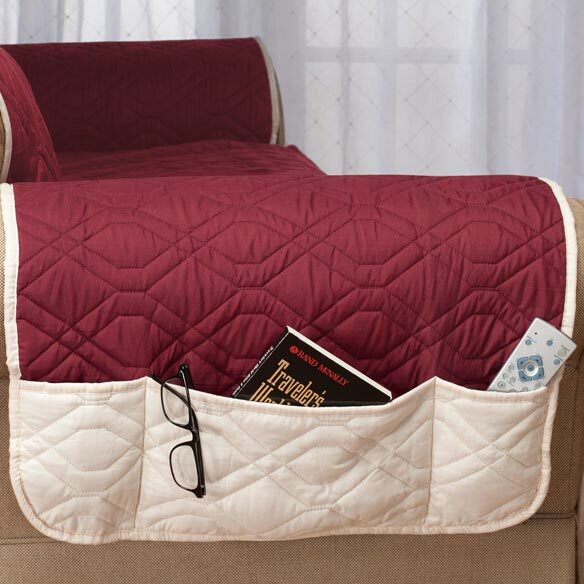 Extra-long arm flaps provide maximum coverage, with a pocket on one side for remotes and more. 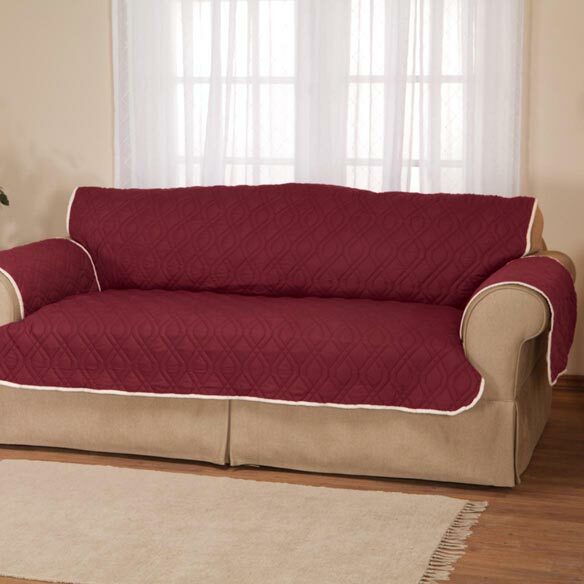 Covered elastic back strap keeps the couch cover in place and makes removal easy when it's time to toss in the wash.
Each of 4 color options features classic ivory on one side and your choice on the other: chocolate, burgundy, navy blue or toast. Seat is 36 1/2"L x 78"W; back is 37"L x 78"W.
Polyester face, back and fill; polyurethane liner. what is the width and length? BEST ANSWER: Thank you for your question. The seat is 36 1/2"L x 78"W; back is 37"L x 78"W. We hope this information will be of help to you.